There are many excellent walks right across Cumbria, but there’s no denying that a lot of them can be tricky to access unless you have a car. The good news is that the public transport across the region isn’t bad, and there are some excellent walks to be enjoyed by leaving the car at home. It’s better for the environment and you can enjoy a guilt-free pint in the pub at the end! I’m very fond of using public transport, so here are four of my favourite walks starting at bus stops and/or train stations. In previous articles I’ve waxed lyrical about the wonderful coastal railway around Cumbria; surely it is one of the finest railway routes on earth. However, it’s more than just a pretty route; it’s also a vital transportation link for locals and it offers access to some glorious walks. 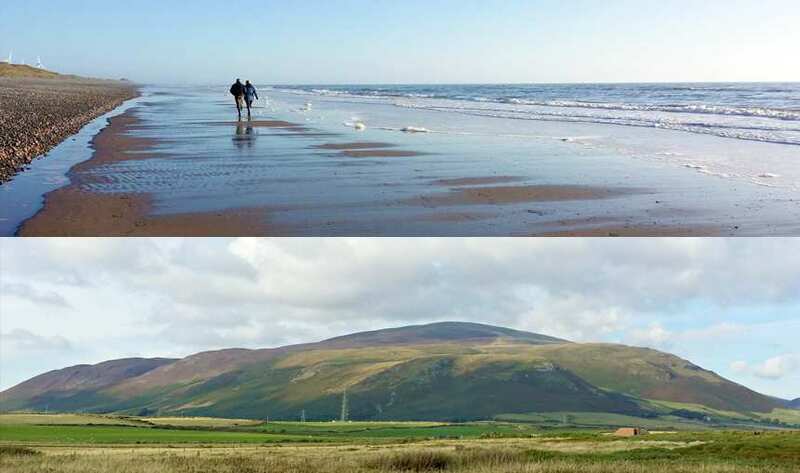 Take the train around to Silecroft (Silecroft Beach pictured above) and there is a perfect day hike up and around Black Combe (also pictured above). The views from the summit are so spectacular that they moved William Wordsworth himself to put pen to paper, declaring “...the amplest range of unobstructed prospect may be seen that British ground commands” – praise indeed from someone best known for writing about the beauty in the heart of the Lake District. If you have time left over at the end of the walk, there’s a lovely stroll to be had along the nearby beach and, of course, a pint in the local while you wait for your train. The X6 bus runs from Kendal to Barrow-in-Furness and although the 555 (see later) is often cited as the finest bus route through the county, I’d say the X6 is a pretty close second. It runs the whole length of the south coast, and a seat on the top deck affords spectacular views across Morecambe Bay to the south and the fells to the north. Hop off at Haverthwaite and there’s a rather nice woodland walk winding up Bigland Hill to Bigland Tarn. As it’s through woodland there aren’t many far reaching views, but it is very atmospheric, especially in the autumn when the mist is still lurking around the tree tops. It’s probably only a half day hike, so you can enjoy the rest of the day either on the nearby steam railway or at the Lakeland Motor Museum in Backbarrow. As I mentioned above, the 555 bus route is considered to be one of the finest in the entire country, running all the way from Keswick in the north to Lancaster in the south. The full journey takes over two and a half hours and queuing starts early as the two front seats on the top deck are highly sought after. 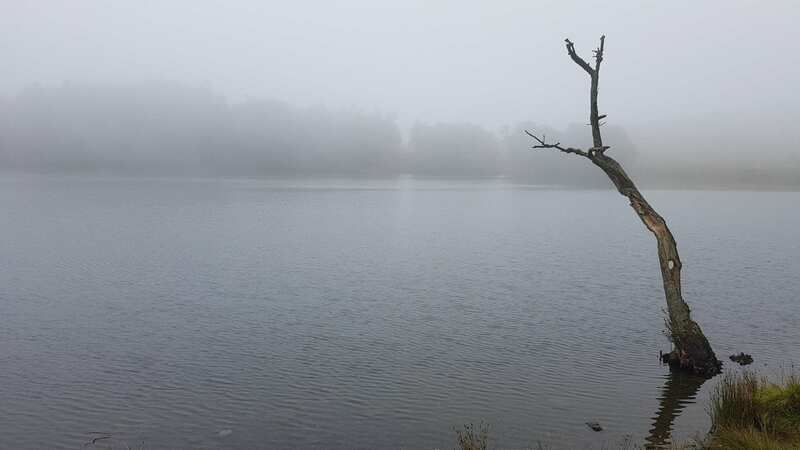 There are so many well-known spots where you could hop off and enjoy a walk, but one that most people miss is Harrop Tarn. Get off the bus at Wythburn, right at the southern end of Thirlmere, and wander around to the foot of Dob Gill. Here you’ll find some lovely waterfalls to enjoy and a footpath to the left of the falls leading up to Harrop Tarn. 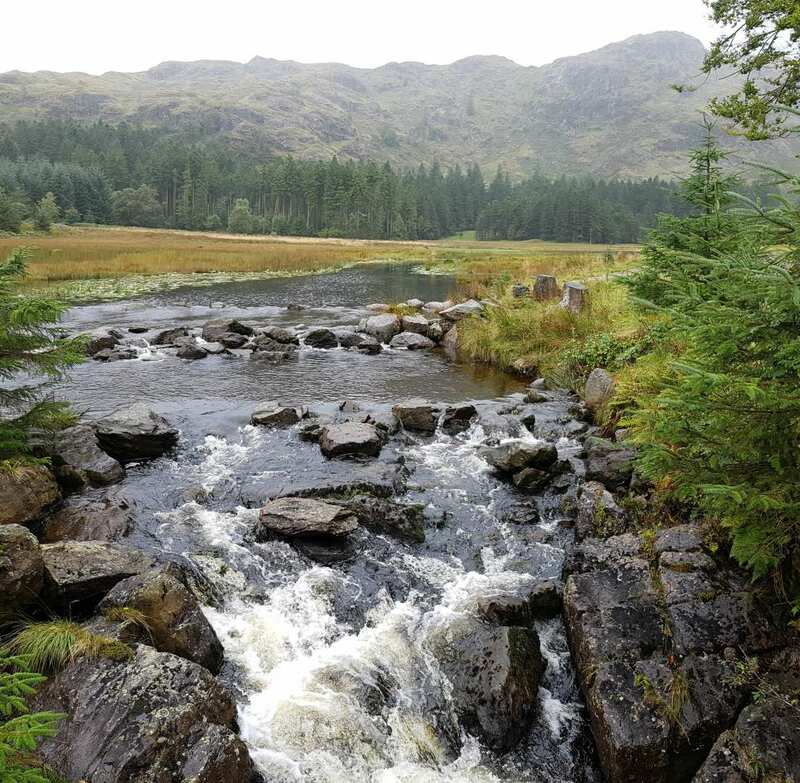 Once up there, you can either simply enjoy a picnic on the large rocks around the tarn and head back down again, or continue on to explore the local woodland – the footpaths up there are, for the most part, surprisingly wide and solid. The far north of the county is largely unexplored by many visitors, apart from the busy stretch along the Hadrian’s Wall path. If you’re in Carlisle with an afternoon to spare, take a trip on the 93A out to Burgh by Sands where you’ll find plenty of interesting local history and a very fine pub. There are a few circular routes around the local countryside, or you could walk on to Bowness-on-Solway (and a detour via the Cumbria Wildlife Trust at Drumburgh Moss is always a treat) before picking up the next bus back to the city. Although Hadrian’s Wall is not much in evidence around here in wall form, there are plenty of examples of buildings put together using stones from the wall, including the splendid Drumburgh Castle (pictured).